Steven Paul Jobs (1955-2011), American entrepreneur and co-founder of Apple Inc. Jobs was a charismatic pioneer of the personal computing revolution. He founded Apple with Steve Wozniak. Jobs is seen as the driving force behind Apple's rebirth in the 1990s with consumer electronics such as the iMac computer, iPod music player, iPhone and iPad. 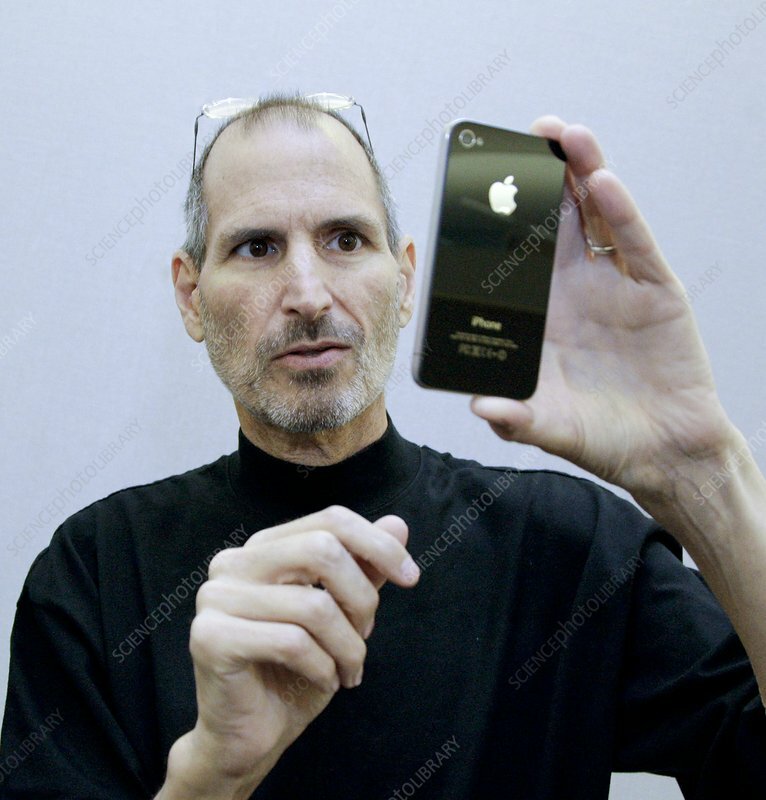 Jobs is seen here with an iPhone 4, photographed in Moscow in 2010.